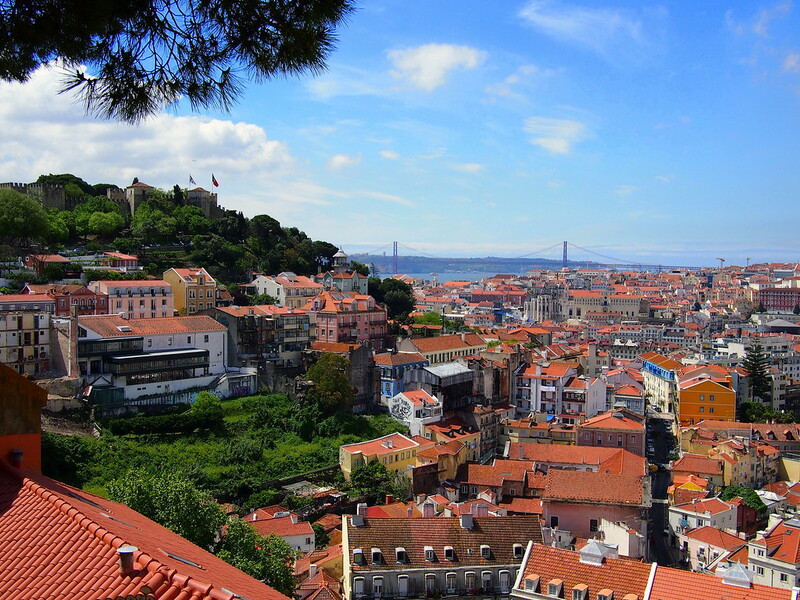 I spent several months in Portugal, one in Lisbon and the rest on the island of Madeira. I traveled there initially to speak at a food conference; I stayed because I did not want to stop eating with friends. From fresh seafood to perfectly steamed vegetables to satisfying soups, the country left my taste buds hankering for more. This gluten free Portugal guide shares some of what was safe, what was off limits, and the lessons I learned in the process the hard way — I’m looking at you, yellow mustard. Portugal’s emphasis on quality ingredients as the building blocks of their meals made it easy to find food safely. As with many countries, snack time is the hardest — on-the-go sandwiches are off limits, as are the amazing pastel de nata tarts, though gluten free versions have popped up around town. I found that the country’s grocery items were clearly marked for celiacs — a sticker applied to packaging states that it is gluten-free. Companies are also required by law to disclose any allergen, including wheat, rye, barley, or oats, and these are identified in bold on the ingredient list. Where they are gluten free, in Portuguese they would often say isento de glúten. For eating out, many menus of the day (larger lunchtime meals) include a simple grilled main with roasted potatoes, vegetables, and rice. These were almost always safe. Check the list of foods below, and bring the gluten free card with you, to double check. Grilled chicken and piri-piri chicken was almost always safe, unless made using a marinade or broth that had wheat. I did not have any trouble with this in Portugal, though I have at Portuguese restaurants abroad. Already know you want a gluten free translation card? You can buy my Portuguese card here, as well as Italy, Japan, Greece, Spain, and more! Each of the cards in the guide has been created with celiac-specific research, mention of cross contamination, and double checked translation from locals who speak the language. I have used several different translation cards on my travels, and still got sick. I may be more sensitive than some celiacs, but even a small amount of contaminated oil for frying, or wheat-thickened sauce in the food, is enough to make me ill for days. Let alone the joint pain later that week! This card is different because it not only uses all of the local food names for what to eat or avoid, but makes clear mention of the cross contamination concerns. A big thanks to Celia Pedroso for translating this card from English, as well as offering up her own suggestions for this guide. She offers food tours in Lisbon via Culinary Backstreets – and can ensure that they are safe for celiacs. 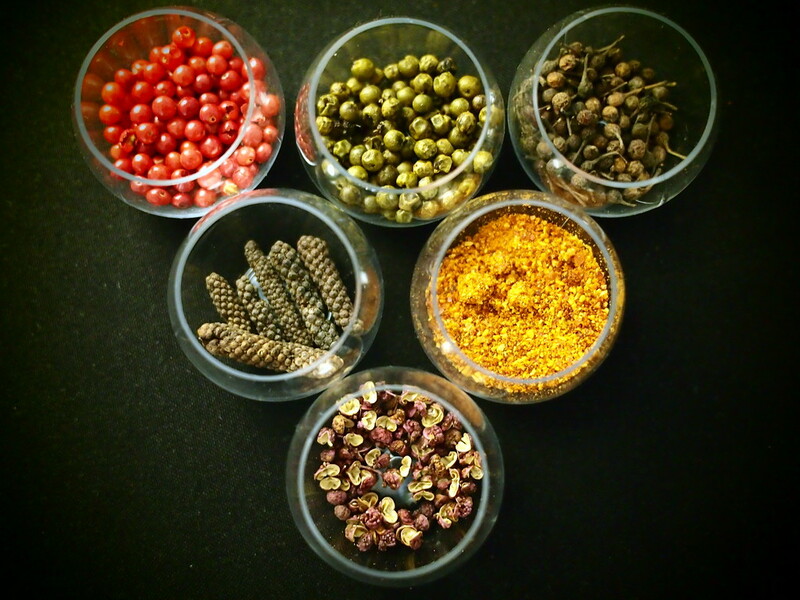 Some of the wonderful spices found in Portuguese food. These are commonly wheat-free in Portugal, confirmed by the translator and myself (having traveled in Portugal). As with any destination, it’s best to confirm on a case-by-case basis that no flour was used for thickening purposes, as it’s possible that some restaurants will do so as it’s an easy go-to for sauces and stews. For the basics, trigo, cevada, aveia e centeio (wheat, barely, oats, and rye) are what you don’t want to eat. Arroz doce – a typical Portuguese rice pudding dessert served with cinnamon. Caldo verde – a common vegetable soup that contains potato and greens, and sometimes includes the popular Portuguese sausage, chouriço. Feijoada – a bean stew typically served with pork and/or beef on rice. Note: ask if the sausage in the feijoada is farinheira or alheira, in which case it should be avoided. Rarely was this the case, but if so it’s off limits, so important to ask. Codorniz Assada – roasted quail, a traditional delicacy in Portugal. Roasted with garlic, paprika and Portuguese white wine. Cozido à Portuguesa – a stew of various meats and vegetable, be sure to double check ingredients. 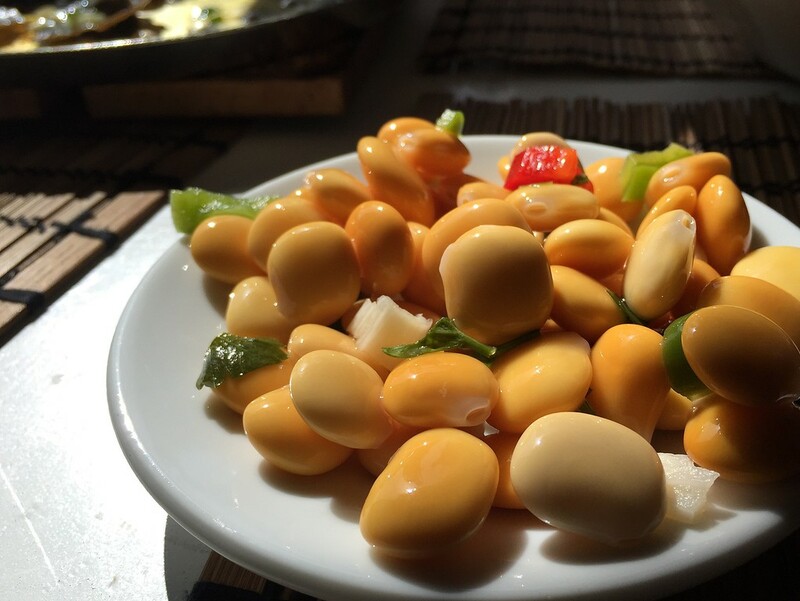 Tremoços – lupini beans, a traditional Portuguese snack, often served in bars with a drink. Want to try them at home? I have a recipe for them here. Tremocos are gluten free, and tasty. Sopa de abóbora – a smooth and sweet traditional Portuguese pumpkin soup. Grilled meat – double check marinades, sauces and seasonings being used. Also confirm that it is not cooked on a shared surface with gluten-containing foods. Doce de amendoim – a traditional candy of peanut brittle. Rojões – a fried pork dish from Northern Portugal. Sardines in cans, or fresh, and other fresh seafood, though as noted in the “unsafe” section below, it’s wise to check ingredients for any canned seafood with sauce. Salted cod, called bacalhau, is safe “as is” (dried salted fish by itself) but be wary of it when it is on the menu as it’s often re-constituted with water and cooked with flour and other ingredients. Caldeirada – a delicious fish stew made with a variety of fish and potatoes. Confirm that no flour has been added to thicken the soup. Cured meat like maranhos, goat sausages that are typically stuffed with rice. Chouriço sausage, mint, parsley and paprika, and wrapped in tripe. Tripas À Moda do Porto – tripe cooked with beans, bay leaves, and meat, served on rice (so tasty). Capão Recheado – stuffed capon, traditionally stuffed with chestnuts and eaten Christmas Eve. Dry roasted nuts with no seasoning other than salt. Batatas a muro – smashed roasted potatoes or fried potatoes – double check that it is not fried in a shared fryer with gluten-containing ingredients. Milho frito – baked polenta with herbs that is then cut into cubes and fried. Double check that it is not fried in a shared fryer with gluten-containing ingredients. Castanhas assadas – roasted chestnuts, a traditional Portuguese snack, especially during the São Martinho (St. Martin) festivities in November. Beautiful Lisbon on a sunny day. There are quite a few places to buy gluten free supplies if you are visiting Portugal, from high-end supermarkets to organic stores. You can also find the APC logo on supermarket products as a way to identify what is gluten free. Continente, Pingo Doce and Jumbo are supermarkets with a lot of naturally gluten free products of their brands. Celeiro: Health food shop that has a large variety of vitamins, organic food, and gluten free products. The website lists each of their locations around the country. Brio: Another health food store with organic products and gluten free options. Pingo Doce: A budget-friendly supermarket that I went to for rice cakes, which I ate a lot of with that amazing Portuguese cheese. They also had gluten-free cereals and crackers, even if the particular franchise was extremely tiny. El Corte Ingles: More expensive department store with a gluten free / bio section in each of their grocery stores. 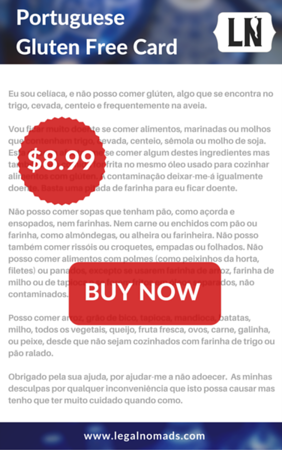 If you want to cook yourself, the Portuguese Celiac Society has a list of gluten free recipes here. Open Brasserie Mediterranica in Lisbon has a gluten free menu, organic food, and focuses on sustainability, and is worth a visit. La Trattoria also clearly marks their menu with ‘no wheat’ for their gluten free items. For those with a sweet tooth, Gelato Davvero has gluten free cones and gelato to choose from — as well as locations in 3 cities. Choco & Mousse has gluten free cakes on offer, and they’re ridiculously good. They also serve a fully gluten free breakfast. Vegan and vegetarian places often serve gluten free dishes, and Jardim dos Sentidos is no exception. I was obsessed with the duck rice at Ze da Mouraria. Be warned, bring 4 people because the portion size is insane. Gluten free pasteis de nata (REJOICE, EVERYONE) at Zarzuela in Lisbon. The Time Out Market in Lisbon has a slew of stalls to choose from, highlighting some of the best places to eat in Lisbon. Their piri-piri chicken stall was gluten-free, and amazing. Many others to choose from and the best part is you can wander around and keep eating for hours. Chutnify Lisbon: Southern Indian food is full of gluten free treats, and this great casual spot is in my Germany gluten free guide. Now they’ve got a Lisbon outpost, full of dosa for your snacking needs. Truly one of my favourite things to eat! For those of you, like me, who love sarasin (buckwheat) crepes, Crêperie du Bairro has 100% buckwheat options, both savory and sweet, for celiacs and non-celiacs alike. (They’ve also got other crepe options for the non-celiac set). For fresh seafood that will make your eyes pop, Phoebe from Feed me Phoebe recommends Pinoquio over the more-famous Ramiro. I tried Ramiro and it was fine but not stupendous; I’m excited to give this other option a try during my next visit. Cantina Ze Avillez is another fish-filled reco from Phoebe, with gluten free items clearly marked on the menu. She swears by the fish curry and I see no reason to disagree. Beiju is a “tapiocaria,” specializing in all things tapioca – a grain that is naturally gluten free. From sweet pancakes to savoury cheese breads, this chain — they also have other locations in Porto. Note that they’re not a 100% gluten free facility – they do serve some dishes with croutons and whole wheat pasta, so best to make sure what you’re getting is safe when you visit. The light in Lisbon never fails to amaze. Please see this list from the Celiac Association of Portugal, which has put together restaurants that have been certified by them as safe for celiacs. Note also that McDonalds in Portugal also has certified-safe buns, practices, and menu for celiacs if you’re in a pinch! During your visit to Portugal these are foods that you should avoid, and are not safe for celiacs. Quite a lot of desserts, as with most countries we visit! Pasteis de nata (custard tarts), almond tarts, coconut cookies, and serradura (sawdust pudding – pudding with crushed cookies). Sangria. I KNOW. But I found that bars added beer to their sangria occasionally, so be sure to ask. Or, you know, just stick to Portugal’s world-famous wines instead! Seasoned rice: some restaurants will cooked their rice in bouillon, unfortunately Knorr is the monopoly in this game. Since their bouillion cubes have wheat in them, I tended to ask for plain white rice and if the restaurant did not have any, I got roasted potatoes or veggies instead. Trinchado (braised beef) – flour is typically used to thicken the sauce of this traditional spicy Portuguese dish. Migasà Alentejana – a savory bread pudding served with meat. Bacalhau pie – a traditional Portuguese cod fish pie, which contains flour in the béchamel sauce. Acorda – Portuguese bread soup. Francesinha – Portuguese sandwich served with cured meats, sausage and topped with a tomato and beer sauce. Broade avintes – a traditional bread from Northern Portugal. Bolo de serta – a flatbread made with corn and what flour, or bola de carne – flatbread containing meat. Queijadasde batata doce – sweet potato cupcakes popular in fall. Meat or fish that has been breaded or battered. Meat or fish canned with sauces: check ingredients before eating. 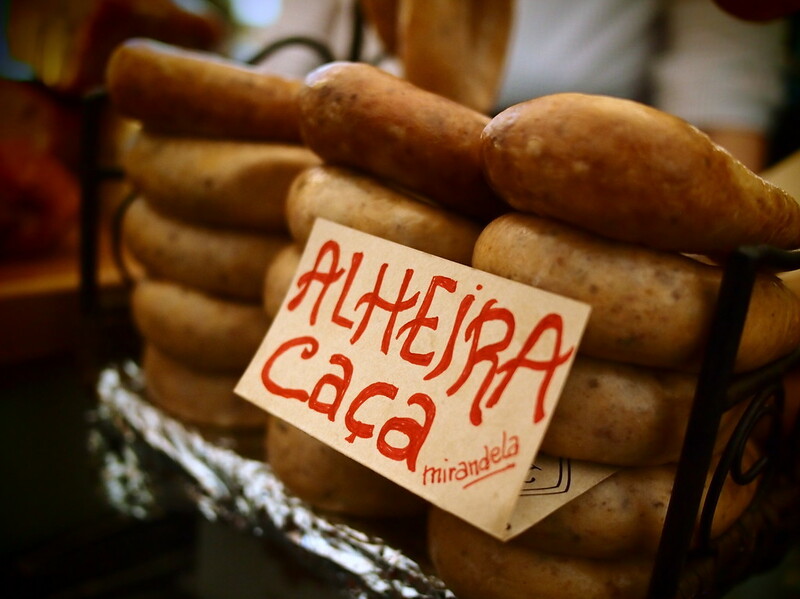 Some sausages and charcuterie contain wheat, such as alheira and farinheira sausages. It’s important to ask if they have flour or bread in them as a thickener. I found more charcuterie than not was safe, compared to travels elsewhere in Western Europe, but it’s always important to ask. Alheira definitely off limits. ix-nay for eliacs-say. Alheira is off limits. Toasted nuts and dried fruit with seasoning, as these were often dredged in flour first. Note that yellow mustard (I KNOW RIGHT?) often contains gluten in Portugal! Check labels before using. For those of you looking to visit Portugal, here are some wonderful books to help inform your visit. For those wanting an idea of what to do in Lisbon, the 101 Coolest Things series has a new guide to Lisbon available here. For a more long-form guide to Portugal, I used the Lonely Planet Portugal book. The link is to their new edition (current as of January 2017). Conquerors: How Portugal Forged the First Global Empire, by Roger Crowley. The Portuguese legacy lies in its former empire, including the foods that it helped spread around the world. This fascinating book details how Portugal, then a poor nation, catapulted to global dominance by relying on the adventurousness and skill of its crop of explorers. One of my favorite books. Living in Portugal (2007), by Anne De Stoop. Coffee-table style book, full of huge photographs and beautiful descriptive text. Lisbon: A Cultural and Literary Companion (2002), by Paul Buck. 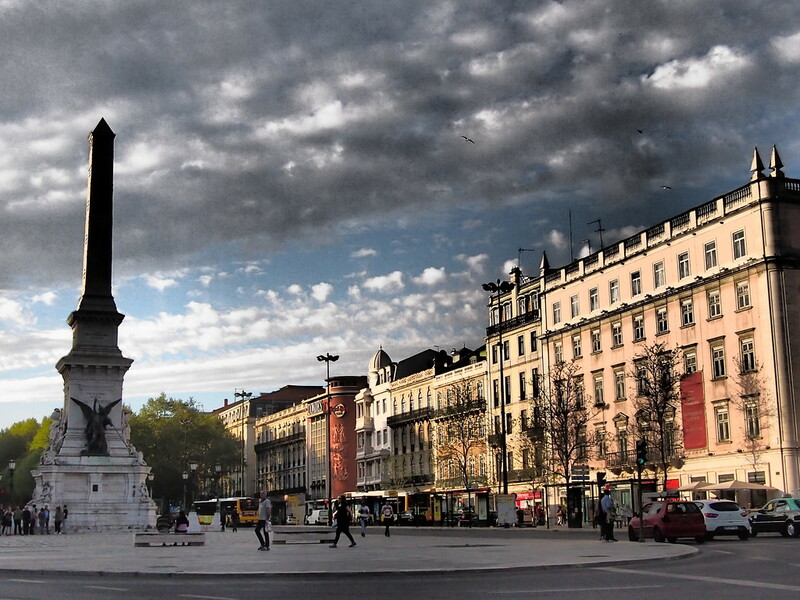 A literary walking tour through the streets of Lisbon, focusing on history. Authentic Portuguese Cooking: More Than 185 Classic Mediterranean-Style Recipes of the Azores, Madeira and Continental Portugal, by Ana Patuleia Ortins. 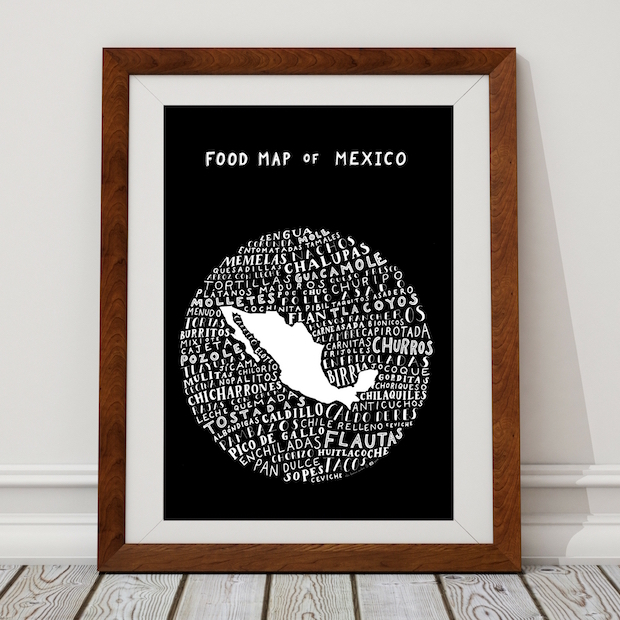 Long list of recipes from the many different provinces and islands of Portugal. It’s rare to find a book with each area covered, but this one certainly does the trick! My Portugal: Recipes and Stories, by George Mendes and Genevieve Ko. Beautiful photos and traditional recipes from the Michelin-starred chef of Aldea. The New Portuguese Table: Exciting Flavors from Europe’s Western Coast, by David Leite. Covering 11 different regions of Portugal, this book provides recipes and stories with simple ingredients. A modern take on traditional recipes, showcasing today’s Portugal. The Portuguese Travel Cookbook, by Nelson Carvalheiro. An award-winning food writer, Nelson certainly has a discerning palate. This new book, available in English and Portuguese, follows his journey of 5000km across Portugal, learning and photographing food along the way. Beautiful pictures and fun recipes. 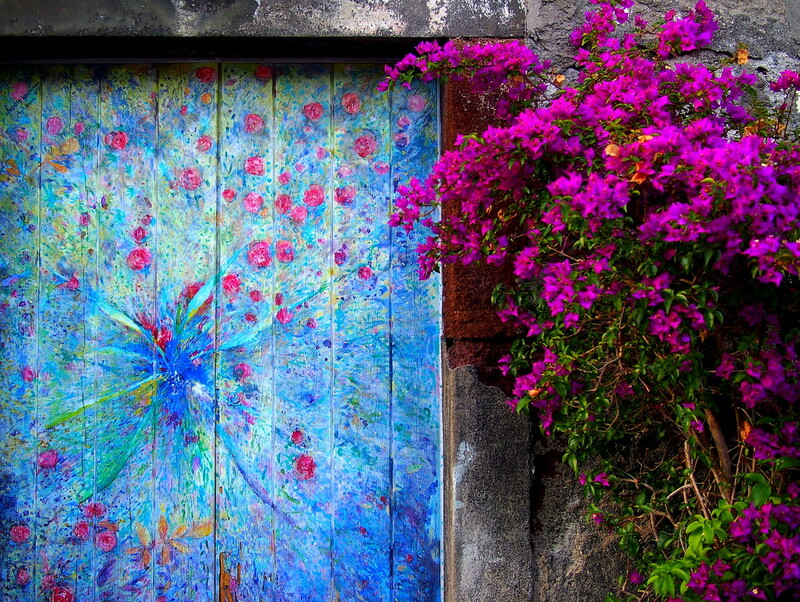 Funchal’s painted doorways, on Madeira. Happy and safe eating in one of my favorite countries!